MFE Insurance offers Touring Insurance artists, bands, entertainers, performers, and comedians who are on tour or planning a tour. Whether you are a small band touring local venues in your area, or a band selling out at the Madison Square Garden, MFE Insurance will build a Touring Insurance policy tailored to your individual specifications. General Liability Insurance policies at MFE Insurance protect you and/or your band or company from claims of bodily injury and property damage that may occur during your tour. General Liability Insurance for tours cover third-party lawsuits that may occur during a claim. A “third party” can be anyone other than the insured’s employees and workers (e.g., a tour crew member working a show). With our General Liability Insurance, your company or band can focus on your show with the peace of mind that your tour is protected from a wide range of potential liability issues with MFE Insurance. It is important to consider adding a General Liability Insurance policy to your Touring Insurance plan for your tour, as it covers accidents involving those who are not employed by your company or band. If they make a claim against your band or company, your policy will step in to pay for attorney fees, settlements, and any other costs relating to the lawsuit. It may even cover the injured party’s immediate medical expenses and the cost of repairing or replacing their damaged property. For example: Someone attending one of your shows on tour gets injured while standing in the crowd. If they sustain any bodily injuries while attending your show, it is within their right to sue you for medical expenses and damages. These damages can be very expensive, depending on the severity of their injuries and the depth of legal fees. 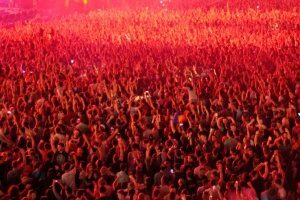 Say the guest attending your show breaks their leg from being trampled in the crowd, which effects their quality of work, your company or band could face major fees. In the event that this happens, you or your band can make a claim on your General Liability policy to cover litigation costs. The Inland Marine Insurance policies through MFE’ Touring Insurance covers your company’s or bands property while in transit during your tour. The policy covers movable property that is required for your tour, such as microphones, speakers, lighting setups, etc. Inland Marine Insurance policies at MFE Insurance cover your movable company or band property whether it is being transported throughout your tour, or being used on stage. What Does Inland Marine Insurance Cover? For companies or bands that go on tour, Inland Marine coverage protects your equipment or musical instruments that are being consistently moved throughout the duration of the tour. Each Inland Marine Insurance policy prepared by our insurance brokers are designed for your specific needs and wants, but typically the following are covered: instruments, speakers, computers, lighting equipment, props, microphones, other electronics, rented equipment, accounts receivable, and trailers or tour buses to transport your equipment and/or instruments while touring. For example: During a show on your tour, one of the tour crew members accidentally drops a guitar, breaking it in two. The guitar would then be covered up to the limits on your policy (usually the replacement value). Commercial Automobile Insurance covers owned, hired, borrowed and or non-owned vehicles used throughout the duration of your tour. There are two main components to Commercial Automobile coverage, Liability and Physical Damage. Auto Liability covers your company and/or band against bodily injury and property damage done to others, while the Physical Damage (comprehensive & collision) covers your company and/or band against theft and damage to the vehicle. How Does Commercial Auto Insurance Apply To My Business? If any tour crew member or employee working for your company and/or band uses their own vehicle or a rented vehicle, you and your company and/or band are responsible for the vehicle and the people in the vehicle. You and your company and/or band are also responsible for any vehicles that are involved in an accident. For example: An employee or tour crew member decides to take their personal vehicle to pick up lunch. During the car ride, your employee or tour crew member gets into an accident and causes damage to another person’s body and car. The MFE Commercial Automobile Insurance policy covers the damages caused to both parties. Workers Compensation Insurance is a program mandated by the state, which consists of payments (required by law) to be made to a tour crew member or employee who is injured or disabled in connection to their work. Entertainment rules and regulations will be explained by MFE Insurance consultants to give you and your band a better understanding of Touring Insurance policies. This will ensure that you and your band are properly covered during your tour. We strive to provide your company and band with the exact amount of coverage needed, while offering competitive rates. As Workers Compensation Insurance program coverage varies on a state by state basis, it is best to speak with an MFE Insurance broker for information about your states specific coverage. Regardless of the state, Workers Compensation Insurance will cover the medical costs from the injury or illness, replacement income, costs to retrain, compensation for any permanent injuries, and benefits to survivors of workers who are killed at a show throughout your tour. For example: A tour crew member falls down the stairs while walking off the stage during your tour. The added MFE Workers Compensation Insurance policy will cover the medical expenses and the wages the tour crew member would have received during the tour. MFE Insurance is great. Omaze has demanding and constantly changing insurance needs and MFE is easy to get in touch with, has a great online cert generator and are awesome people to boot! Highly recommend. Alec Roberts and his team really go the extra mile to ensure their clients receive the proper insurance that is right for their business at the best price with a timely turnaround. They provided same day service - from quote to a full policy with proof of insurance and helped me win bids and develop my business. They are your allies in the insurance world - look no further! I've worked with many insurance companies over the years for production insurance on feature films. Once I found MFE, I never looked back. Not only is there pricing competitive (and typically better than many other brokers), Alec and his staff are amazing, quick to reply, and fast to assist. And they make all your insurance needs for production run smooth and easy. I couldn't recommend a better broker. AMAZING. Never felt like they were giving me BS information, or quotes that weren't necessary for my production. Always informative (explaining in depth what I would, or wouldn't need for certain situations! Claims were seamless, and the team is always responsive. So grateful to have a broker that really is working for my best interest!! Kat and the rest of the MFE team are amazing. Great communication and quick to find the best possible coverage. John Hart was my broker for my first project requiring insurance, and he was incredibly helpful, professional, and patient with a first-timer. Highly recommend MFE and John's services! I've been working with Alec and his team for years. They provide our production insurance and throughout the entire process, including a handful of claims, I've always felt informed, supported, and taken care of. Can't recommend MFE enough - these guys are the ones you want in your corner. They know the best insurance policies and will help manage any claims that arise. MFE Insurance saved my business money and offered better coverage. We've worked together over the last several years, and have recommended MFE to family and friends. Alec Roberts and his team are always available to answer our questions or requests, and everything is done in a timely manner. We can't say enough about how well we are treated!